If you follow my personal blog then you will know that I recently made an international beauty haul from Amazon.com and out of the different lip products I bought, Milani amore matte lip cream in 'gorgeous' was one which I loved the most. 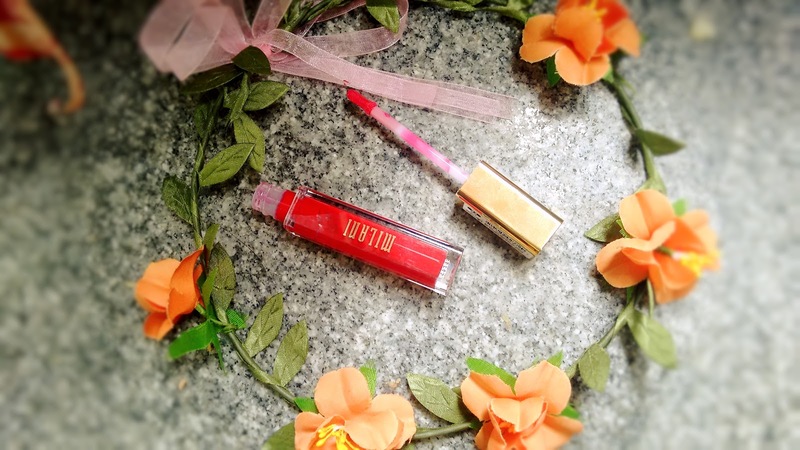 It's just SO gorgeous and flawless with the finest of formulas of liquid lipsticks which I have ever tried. 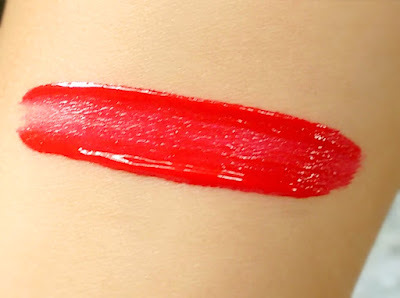 My wedding is just around the corner and I am busy finalizing the look for my big day and while hunting for the best red lip options I came across the swatch of the shade '22 Amore' from the Milani amore matte lip creams and I was blown away. I instantly knew that this was going to be the one for my wedding look and I quickly hopped on to Amazon.com to buy this shade. Unfortunately, this particular shade was priced very high and Amazon was not shipping it to India. I was let down but didn't give up and started browsing all the international beauty websites to find the shade '22 Amore'. It was out of stock everywhere and I should have stopped searching and found an alternative but I had just put in a lot of effort already and actually envisioned to own that liquid lipstick and couldn't give up now. On a random Google search, a link from Nykaa.com popped up and voila! 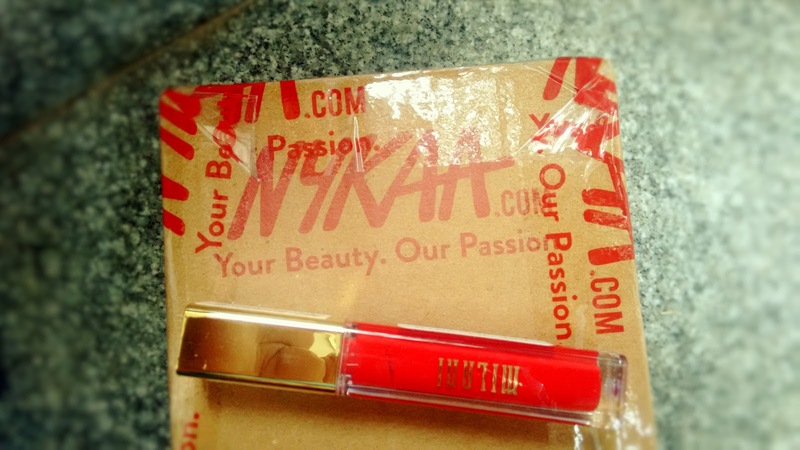 I learnt that Nykaa was selling Milani amore matte lip creams in India itself! Just so you know, this is not the first time I am shopping from Nykaa, I have bought a NYX lip cream and a Milani foundation prior to this haul. I never faced any issues while shopping at Nykaa and the products I bought are all genuine. The one thing which keeps me from splurging much at Nykaa is their pricing. Both of those shopping experiences were pleasant but the shade of the foundation was too dark for me and I hated that I couldn't return it as it was quite expensive. 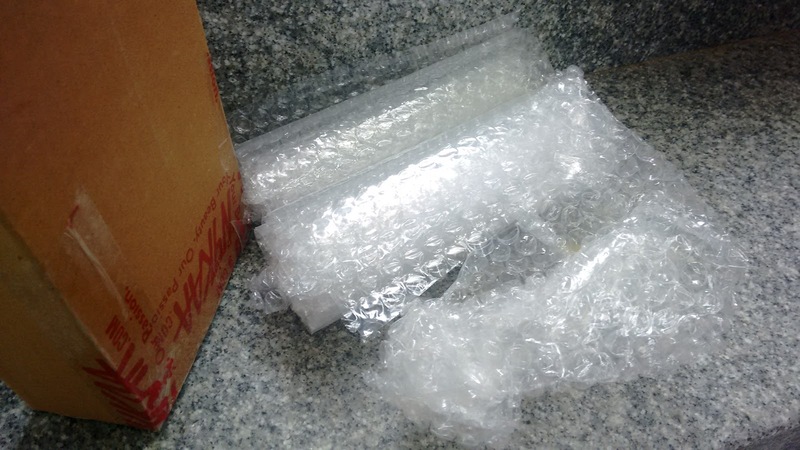 Anyways, that's a normal rule with shopping for beauty online, you cannot return what you have bought. They do have occasional discounts and sales but nothing beats the crazy discounts on beauty products at Amazon and Flipkart! I am a shopaholic who loves a good deal and adores a 'Flat 50% off' which Flipkart and Amazon are so kind to offer at times and this is the reason why I don't shop for beauty much on any other websites. But lately I am loving Nykaa.com a lot as they are stocking up on the best of international beauty. The budget friendly and quality brands like L.A Girl, Makeup Revolution, Milani, NYX, etc were not easily available in India but now Nykaa has made this possible and I am so glad about it! What I love about Nykaa is that I can trust on the products I buy as they are always 100% original. The products I bought came with their seals intact and in a good condition. 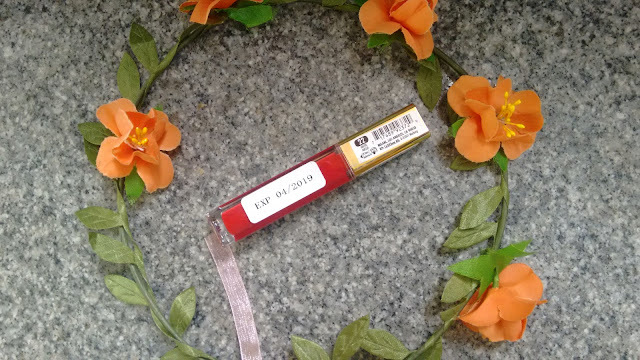 Nykaa provides an extra label with all their products which clearly mentions the product's expiry date. I just LOVE this feature because it's just SO easy to keep a track of the product's expiry date this way. Products from some of the best international beauty brands like L.A Girl, Makeup Revolution, Milani, NYX, etc, are available. The pricing. It's high, especially for the international brands like Milani and Makeup Revolution. The discounts and sales offered are not very pleasing, at least for a person like me who has been spoilt by the huge Amazon and Flipkart sales! Coming to my final view, I totally recommend Nykaa.com to all the beauty lovers out there, especially if you want to buy the international bestsellers which you don't get elsewhere in India. I have been following Nykaa.com since it launched and have witnessed it improve by every passing day. I am sure that in the coming days it's going to come out as the top beauty websites of India with sales and discounts which actually make a shopaholic bite her nails! If you are looking for genuine products with all the shades and variants being available from brands like Maybelline, Colorbar, Loreal, Lakme etc, then Nykaa is the best bet for you - go shop from them and you won't be disappointed! Have you shopped from Nykaa? What was your experience? Do share!